No, not a new pope, but what I wish to announce here is indeed a great joy and a profound privilege. Harvesting the Fruit is adding a new contributing author, Fr. José Miguel Marqués Campo, a man for whom I have the greatest admiration and who I am blessed to call friend. Some of you may already be familiar with Fr. Marqués Campo. 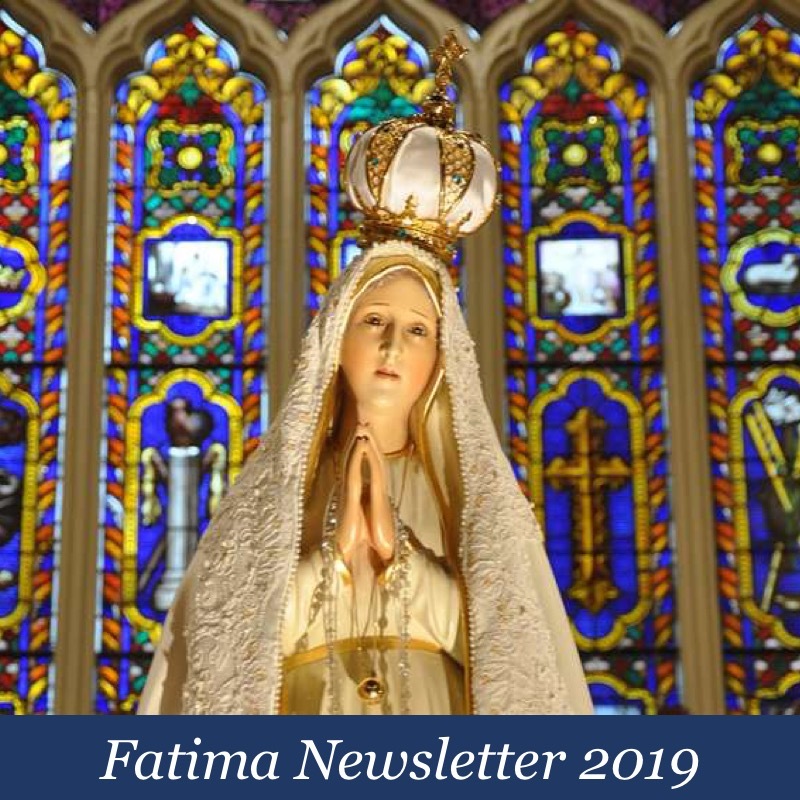 Those of you who will only come to know him in time, however, will find that his keen awareness of the nature of the crisis under which the children of the Church currently suffer, and his commitment to tradition, is truly a reason for hope. Father José Miguel Marqués Campo was born 1962 in Spain, and raised in the Chicagoland area. He holds a B.A. in International Business Administration from Rosary College in Illinois (now Dominican University). Having undertaken seminary studies in Oviedo, Asturias, Spain, Fr. Marqués Campo was ordained a priest for the Archdiocese of Oviedo on Pentecost, 26 May 1996. A former parish priest and former chaplain of a residence for the elderly, Fr. Marqués Campo is currently assigned to the Basilica-Sanctuary of the Sacred Heart of Jesus in the city of Gijón, Spain, where he has been appointed Diocesan Chaplain of the Traditional Latin Mass. Fr. Marqués Campo is a former radio host of the program, “Compendium of the Catechism of the Catholic Church” on Radio María Spain, and is radio host of a special miniseries on Literature and Faith centering on the life and works of J.R.R. Tolkien called, “De los Anillos al Señor” (Of the Rings to the Lord). Look for Fr. Marqués Campo to post in the next few days or so. In the mean time, enjoy the following magnificent recording of our new contributor chanting the Salve Regina in solemn monastic tone, and please join me in welcoming Father aboard. How blessed we are to have him here! Deo Gratias! Welcome Fr. Campo. You’re a good, solid, trustworthy priest, and it’s a great privilege to have you here. I look forward to your contributions because I know that the salvation of souls is your goal. God bless you! Our Dearest Father in Heaven is so good to us. I’ve read an interview (about the ‘bipolarism’ of Spanish Catholicism) given by him – certainly his historical take on tradition and attacks on it genreally, and the application of traditional values are Catholic, but does anyone know his ordination credentials? Was his ‘bishop’ ‘ordained’ through the very doubtful N.O. rite? And the show he formerly hosted – what ‘catechism’ was it? 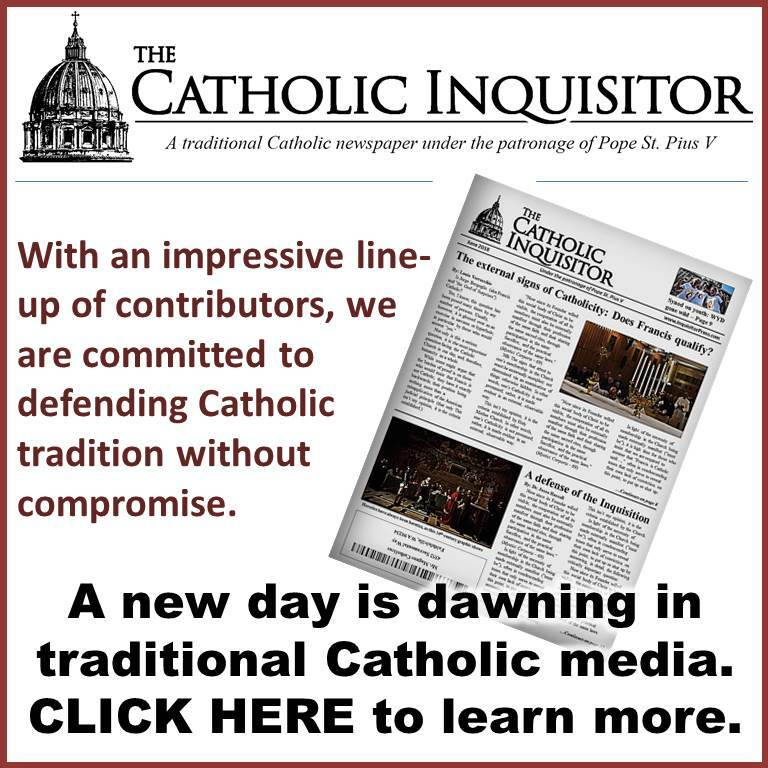 The Novus Ordo catechism? If he belongs to the Novus Ordo, unfortunately he belongs to the ‘bipolarism’ and not the Catholic Church. Explain – why ‘churlish’? You must know something of the why there are priests and laity who say they we must not be in commuion with heretics by now. Why is it churlish to want a fuller introduction to Louie’s new contributor, especially since the promotion of the Novus Ordo is more easily done if one given a great deal of respect. Little heresies dont count. Promoting the heresy that Jews can get to Heaven without ever acknowledging Christ as God (among so many others in vat 2), for instance, is a “little heresy” in many people’s minds…its wrong but its not that big of a deal for a “pope” to maintain it as valid Catholic teaching….even though a valid pope could never teach it in reality. They actually need something meaty…like “Christ is not God” or “Mary did not remain a virgin” before they get it. How people grade heresies on some sort of scale, as if one is worse than another, is beyond me…but that seems to be what they do. Oi. I do wonder if there really could ever be a heresy meaty enough, Rich – ever. Public world-wide worship with pagans, communion with every antipapalist Protestantism that exists, the denial of the need for Apostolicity, promotion of the Old Convenant as good enough for eternal life, pacts not to proselytise heretics and schismatics, rites that are not Roman and not even Catholic, the ‘abdication’ of Christ the King, teaching that the object of worshippers who deny the Holy Trinity is ‘God’, promotion of UN agendas from out of the Vatican… and on and on. I guess if one has as a determined aim that God was just kidding when he created a Holy Catholic Church that cannot universally give error, then any truths that confirm this are apt to be treated as dismissable; I guess in order that the institution universally giving error can still be considered ‘Catholic’ (in which case the Catholic Church loses any reason to be). Being able to ‘have your pope and beat him too’ is a completely anti-Catholic idea. I guess its more comfy than having to make a sacrifice because Truth demands it. I guess. At any rate, if we keep asking the hard questions and testing the answers, the Truth is never hidden. PS. Would be interested, generally, if people agree that if we accept deceit, by necessity, we become deceivers? I always wished to have a priest contribute regularly on the comboxes to illuminate us poor laymen with their thoughts and corrections but I guess this is even better! I am someone well trained in music, and I can tell you – not sure if you’ve been made aware of this too much – that your singing tones are absolutely “in tune”, not many people can do that other than those who’ve had their voices trained for a very long time. I dare ask – maybe you could provide us with an excerpt of your heavenly voice singing other Gregorian chants for the edification and education of the faithful every now and then? Looking forward to your contributions on this site Padre! Viva Cristo Rey y la Virgen del Pilar! Just a kind correction: “De los Anillos al Señor” actually means: “FROM the rings to the Lord”, not as you mentioned “Of the Rings to the Lord”. The story of the little boy of 12 years old, Santiago, being shot in the legs, left in a cemetery overnight and then shot dead the next day, for refusing to denounce the Faith, really got to me. I have no doubt Our Lady spent the night sitting next to him, holding his hand. I am going to do my very best to have my next grandson named Santiago in his honour! Thank you one and all for the welcome. The Archbishop of Oviedo (Asturias, Spain), retired, who ordained me on Pentecost in 1996, was himself consecrated bishop in 1965. True enough, I was ordained in the Novus Ordo Rite, and although we may have theological qualms about it, we cannot dismiss its essential validity, certainly not when celebrated correctly and with intention of doing what the Church intends. 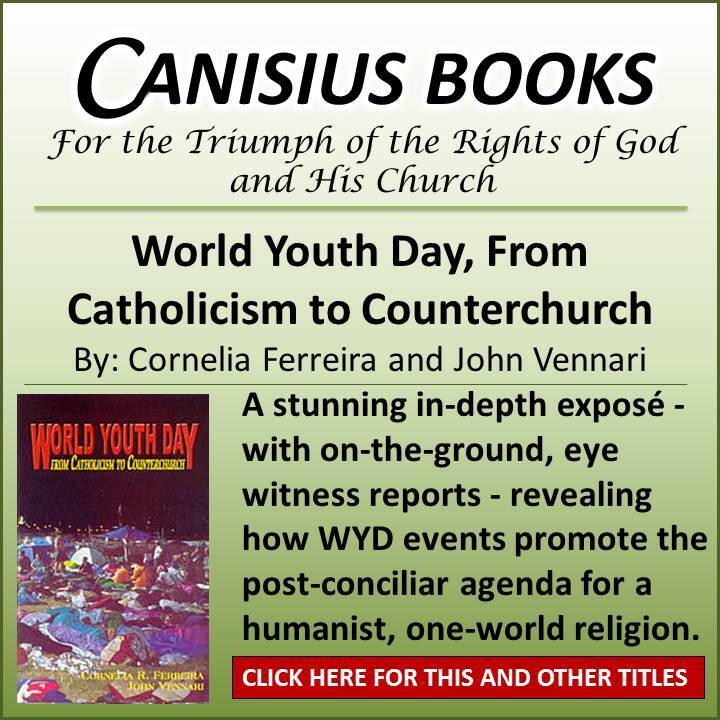 Regarding my radio program, yes, it was a theological commentary of the Compendium of the Catechism of the Catholic Church, published in 2005, though its commentary was “traditional.” Among the very numerous listeners, many were traditional Catholics, and they have personally expressed their “placet.” Rest assured, I have been blessed with a Catholic heart! With the greatest respect and no desire at all to be merely contentious, I have never heard a Priest admit that he had theological qualms about his ordination rite before. I would hate to have qualms about my own qualifications. I would never let a man who had qualms about his qualifications, or if I had qualms about his qualifications, deliver my wife. Would you be prepared to elucidate the nature of your theological qualms? Is it not true to say that if a Sacrament should be considered doubtful, it should be avoided? Please do not misconstrue the nature of my questions. I ask them in accordance with my Catholic conscience, with great respect. You will agree that these are serious matters. Since there seems no way to edit misspellings in these comboxes… Obviously I wanted to equate the Castilian equivolent “El Señor DE los Anillos” and “DE los Anillos al Señor,” a perfect transposition of “de,” so to do that very same thing in English, it has to be “The Lord OF the Rings” and “OF the Rings to the Lord.” Granted it may sound a little more awkward in English, but it does include that transposition of the word “of.” Thank you, In Hoc Signo Vinces, very kind words! Does the fact that there is ‘cockle’ and ‘wheat’ proclude asking about how a person came to be a priest? In the scripture passage ‘the field’ is ‘the world’, not the Holy Roman Catholic Church. The SSPX are ordained according to the Roman Rite. The Novus Ordo are not. The Episcopal Rite of Ordination in the Novus Ordo is doubtful, to say the least. More than one bishop concludes, therefore that all Novus Ordo ordinations are very possibly invalid and all Novus Ordo Bishops and priests should have conditional ordinations in the Roman Rite – if we ever get a true Pope again, this will no doubt happen. Why people think this stuff is of no consequence to folks who profess to be Catholics remains a mystery to me. PS. Fr Gruner, RIP, wisely sought a conditional ordination in the Roman Rite after he had been ‘ordained’ in the N.O. Therefore, the question I ask above is one that would probably have, at least, been on his mind. salvemur, it was just incredibly rude when the poor man had not even hung up his hat. 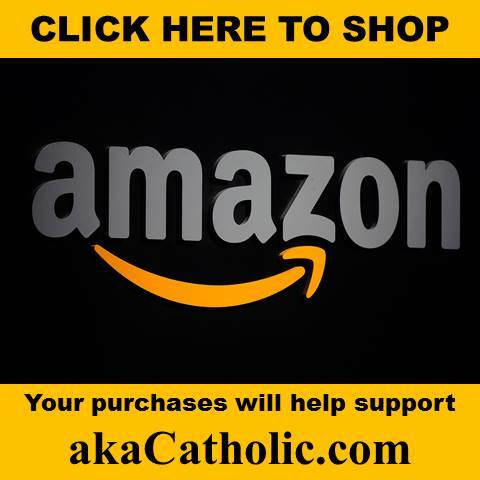 What of Cardinal Burke? Bishop Schneider, Father Rodriguez? I suspect none of them would be Catholic enough for you either. So I’ll ask: what are you doing here? There is NOTHING here that is not Catholic. Yet you challenge that with every single comment. I can’t see what the attraction is for you. salvemur, fear not! I am in communion with the Holy Catholic Church. As for offering Mass in communion with heretics, you must consider that many heretics before Vatican II have offered Mass… and yet it did not suppose an essential flaw with the Rite they followed, which wasn’t precisely the objectively flawed Novus Ordo. Notwithstanding all qualms, like I said before, I have been blessed with a Catholic heart. PS. Manifestly Heretical Corporations have never before offered Mass in the name of the Holy Roman Catholic Church from their manifestly heretical Post-Pius ‘Pontiff’ universally down to the last tittle and jot laity in Backwater-Parish Novus Ordoville. The universality of the heretical ‘mass’ and its heretical head is what we should all be aware of. And should we not be concerned with whether or not God thinks it is our ‘right’ to assist at such a mass and to be in communion with such a ‘head’, or His Right, that we abstain? PPS. Has anyone reading this ever visited an ancient pagan temple, like the Parthenon, or the Pantheon? these places are beautiful, almost awe-inspiring; and they were places of worship of pagan gods (many of them later taken over by the Turks), built before the Incarnation, (long before in the case of the Parthenon) built before the Truth, the Word made Flesh came to fulfil Revelation. And yet, of their very purpose, Lord God Almighty through His Apostle said: “But the things which the heathens sacrifice, they sacrifice to devils, and not to God. And I would not that you should be made partakers with devils.” Likewise, “For all the gods of the Gentiles are devils…” Where does VII/Novus-Ordo stand on this? It stands with the ‘devils’ and the ‘gentiles’ in the very documents of VII and very very very manifest worshipping practices of the Novus Ordo ‘popes’. The unadulterated Catholic sanctuary is the True and Only inheritor of the Mishkan. As for the reprobate ‘mosque…synagogue/temple…protestant ‘church’…pagan ‘temple’…’ they are post-Christian impious imitators of the spirit of the Parthenon and Pantheon – and, therefore, all the more ‘partakers with devils’. So what is the Novus Ordo ‘altar’? Who is it in communion with? The heresiarchs AND God? The heresiarchs OR God? Well, if the Church of Christ only subsists in the Catholic Church, along with multiple heretical sects, the answer must be “heresiarchs AND god” silly! Otherwise, like the song says, ‘That’ll be cash on the barrelhead, son…’ To extend a ‘line of credit’ to belial through his New Order, or not to…that is question. I look forward very much to talking to you and hearing your guidance. Please God, all of us here have good Catholic hearts. With respect, please may I ask: Was the Archbishop of Oviedo consecrated in the NO, or traditional (Pius XII) rite? How I would like to go to Oviedo to see the Sudarium! 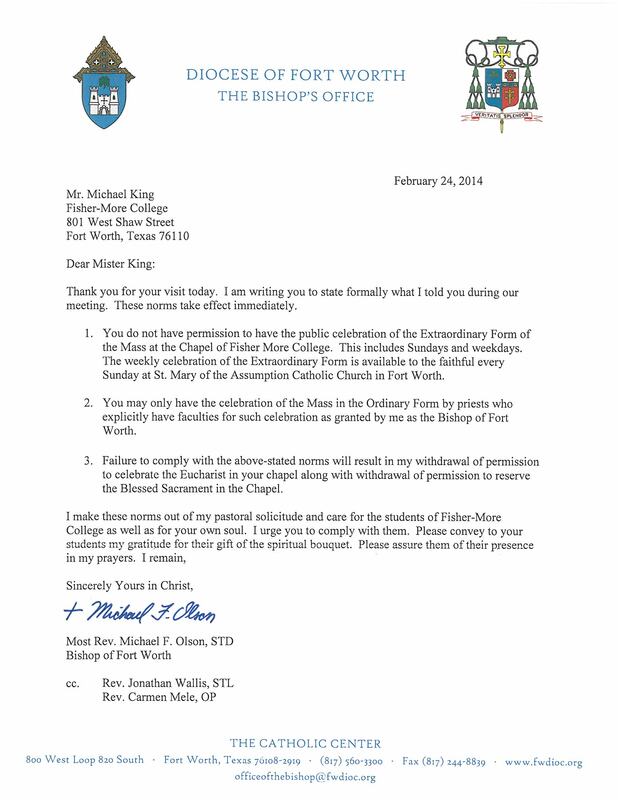 Appreciate your concerns, salvemur… Peter Lamb: the Archbishop of Oviedo (now retired) who ordained me was consecrated bishop with the traditional Roman Rite as it was in 1965. Yes, in our Cathedral-Basilica, in Oviedo we treasure the Sudarium. Hopefully one day, you may get to see it! And thanks for you welcome and best wishes. Welcome, Father Campo. You were completely unknown to us before now; but there is a portrayal of a man in love with God and on fire with zeal for preserving what is Sacred and meant to save souls– in this article by a blogger who also guest-writes on “One Peter Five”. Thank you, Indignus famulus. Yes, I had originally written a long post about defending that elderly priest on FB, and the good Blogger at The Liturgy Guy asked to publish it. By the way, I’m also a guest-writer on One Peter Five. And yes, the audio/video series on the Church’s sacred liturgy, “Per omnia sæcula sæculorum,” uploaded to YouTube, was a kind invitation by Forward Boldly Radio. The idea was to cover many more aspects, obviously, mainly taking into account the long series on the Second Part of the Compendium of the Catechism that I had already done for Radio María here in Spain. The series was short-lived, however, managing only seven episodes, since I was unable to continue. Thanks for your welcome! May God reward you both! How does one “adopt a heretic” nowadays? I cannot figure out how to donate. I apologize for my lack of ingenuity. Welcome Father. As a heads up, there are a few sedevacantists that use this blog as a platform to show their disdain for anyone associated with the Novus Ordo and VII, and as such, these “NO” people are like the devil incarnate to them. Hence, that is why, on your first interaction you were treated so rudely and had your ordination, Faith and Catholicity called into question. Thank you, James, for that. I was going to comment also but figured it would just add fuel to the fire. Father, welcome! You will find your feet held to the fire by some here because you will never be Catholic enough. I am sure you will give us all a lesson in patience and charity. May God bless you every day of your life. Thank you for hearing His voice, and becoming His priest – a shepherd for us. Right – and this notwithstanding the fact that Louie specifically asked the sedes to stop posting their same sede statements & links to every post some time ago. It is good to continue to combat the dogmatic sede vacantist error; it certainly has legs, here & everywhere. And, frankly, that really is understandable, given how insidious this crisis is and the length & breadth of the confusion it has sown. There are no refutations to siscoe? Id recommend a google search. Siscoe is big on theologians but lacking in actual infallible papal proclamations. The ‘sin’ of heresy is what removes jurisdiction. The problem of prosecuting the ecclesiastical crime of heresy in no way gives any Catholic the excuse of keeping the sin of heresy and jurisdiction in the same cassock. Fr Cekada specifically addresses Siscoe’s error around 26-27 minutes, but watch the whole thing to get all full ‘footnotes’, so to speak. What you are not getting is that we know Father Cekada is a SEDE! Nothing he says or writes has any legs. PERIOD. As I’ve said many times: there are two ‘sides’ to this discussion. One must be correct and one in error. End of discussion. (i) Pope Francis has self-declared that he holds to a heresy. (2) Does a lay sedevacantist commit the sin of schism by withdrawing his obedience from a manifestly pertinacious heretical Pope before the Pope has been declared a manifestly pertinacious heretic by the Church? Thank you also for that. I share the same sentiments. The above should be written in all caps in big bold letters. Take this sede debate to the Forum or to your own blog. As much as I dislike policing grown ups, I dislike repeating myself even more. This post is about welcoming Father. If it goes on, there won’t be any more requests. As in to say, I pushed reply probably just when this ‘request’, was posted.